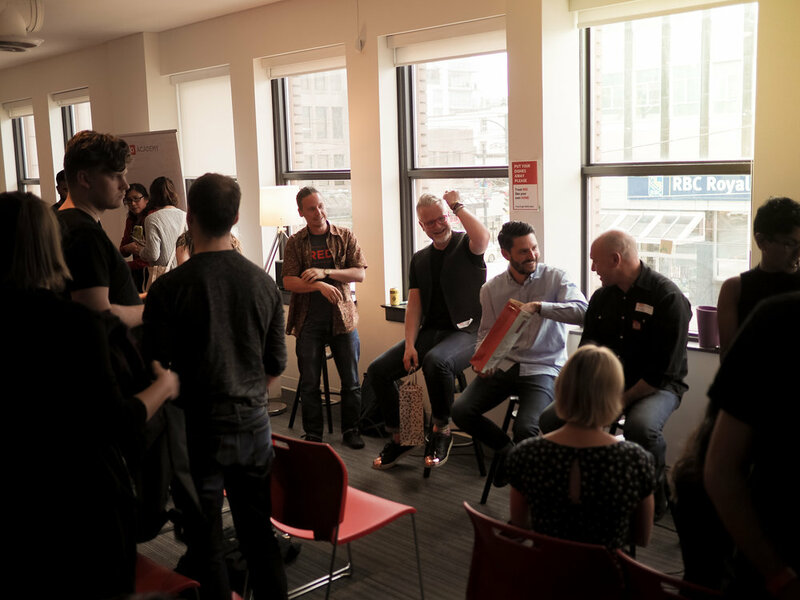 Earlier this month I had the pleasure of attending Beer & Design 2.0 at The Red Academy. 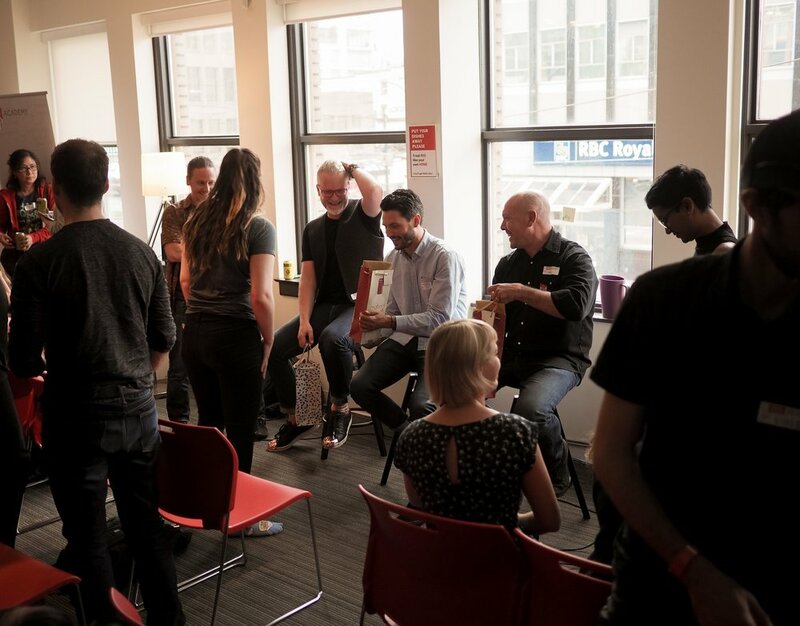 It was a brilliant combination of cold brews and industry leaders coming together to speak candidly about brewing amazing beer as well as the opportunities & challenges of creating a unique brand in such a new and vastly competitive market. 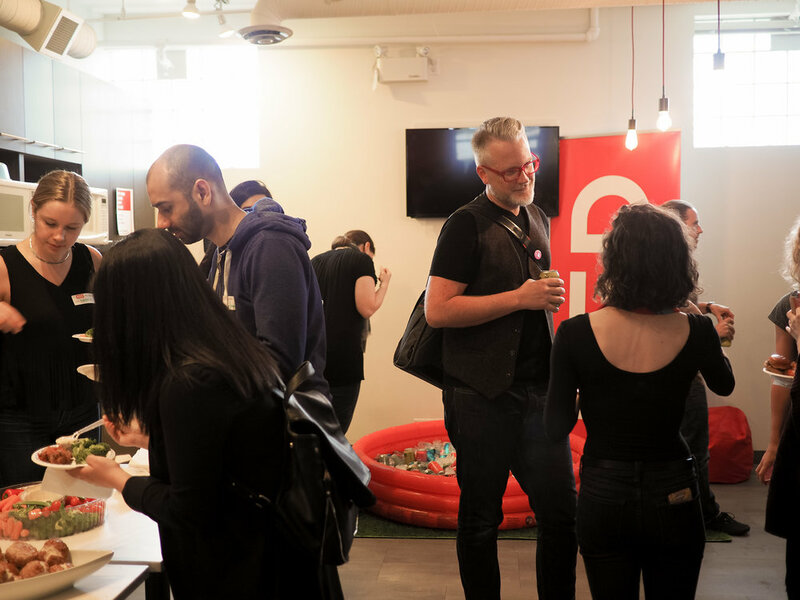 The night provided a lot of valuable insight into the intersection of Vancouver's ever expanding craft beer scene and growing tech industry, oh and the best part? All proceeds from the event were donated to 2017 Motionball Marathon of Sport in support of the Special Olympics Canada foundation. Without giving too much away, here are a few of the highlights & golden nuggets of wisdom from the night. Building an iconic brand that stands up to the test of time is no easy feat, that is why the topic of authenticity seemed to be a part of the collective common ground as each panelist took turns speaking from their years of experience. People don't simply need another beautiful brand to look at, they crave something more personal that speaks to them and can be a part of their day to day lives. Matthew Clark of Subplot design is no stranger to this strategy—having branded countless distinct corporate & consumer brands over his career, including the identity of Vancouver's gourmet grocer Urban Fare almost 2 decades ago. His advice? Why? Because experiences are what people connect with, what they remember. We are lucky to live in such entrepreneurial times—individuals are no longer just looking for a way to make money, they are crafting careers out of doing the things they love. A lot of incredible projects popping up all over the world are a result of us learning how to effectively monetize our passions. This is a more conscious business model, one that takes a holistic approach and considers the greater effects that our businesses have on the society around us, how it makes people feel, what value it is bringing into their lives. The birth of Postmark Brewing came out of an appreciation for the West Coast life style—good people and the great outdoors, simple. Craft beer became the perfect manifestation of this passion. Steve Thorp of Postmark Brewing is a huge advocate of making business personal. When something is created in this way, it acts as a powerful magnet—attracting others that share the same values and approach to business. 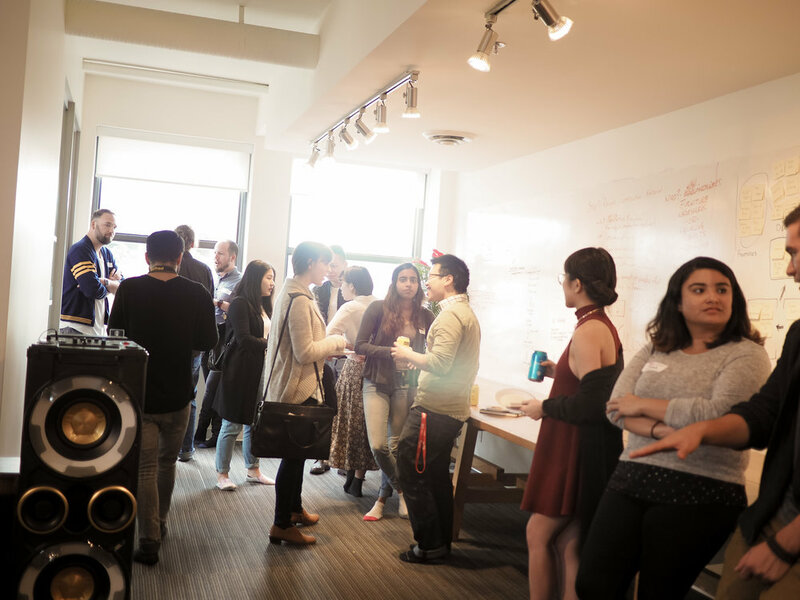 Collaboration became an exciting topic for the night as Vancouver offers the perfect playground for joining forces in order to create something spectacular. Steve Thorp spoke fondly of a collaboration between Postmark and the Pacific Salmon Foundation —an organization working to protect British Columbia's wild native salmon. This seemingly unlikely pairing was born out of a genuine friendship and the shared desire to protect the natural environment we are blessed with in BC. Jessica Singh of Craft Beer Market also touched on some of the challenges of collaboration brews and suggested that campaigns across social platforms are one of the best approaches to promoting new product in the established voice of each brand. Of course aesthetics are a huge part of consumer experience and every good designer will tell you the necessity of staying humble. An idea can be infinitely worked and reworked, enhanced, and improved. Nigel Pie from Main Street Brewing spoke personally about an experience where they decided to scrap everything they already had in terms of a brand and start from square one, it ended up being one of the best decisions they ever made. Packaging plays a tremendous role in making that sale, often times it may be the first and only point of contact a brand has with consumers. The value of good branding can be found in something as simple as being noticed amongst the sea of consumer options available on shelves today. And finally, Brian Krenzer of Noise Digital touched on the significance that the online realm has on our real life experiences with products & the brands behind them. Holding up his mobile phone, Brian spoke passionately about our intimate relationship with technology and how his studio works on merging our physical world with the digital experience. Technology takes good branding to a new level, enhancing something that is already great—like enjoying a can of your favourite brew, and bringing it beyond that immediate experience. It is about taking all of the different pieces of a brand and bringing them to life in a way that keeps them consistent and memorable, creating something interactive that people can carry around with them in their pockets. Brian believes that leveraging well thought out design and digital tools are the best way to create a connection between consumers and brands—promoting not only the product but making them a part of the story behind it. 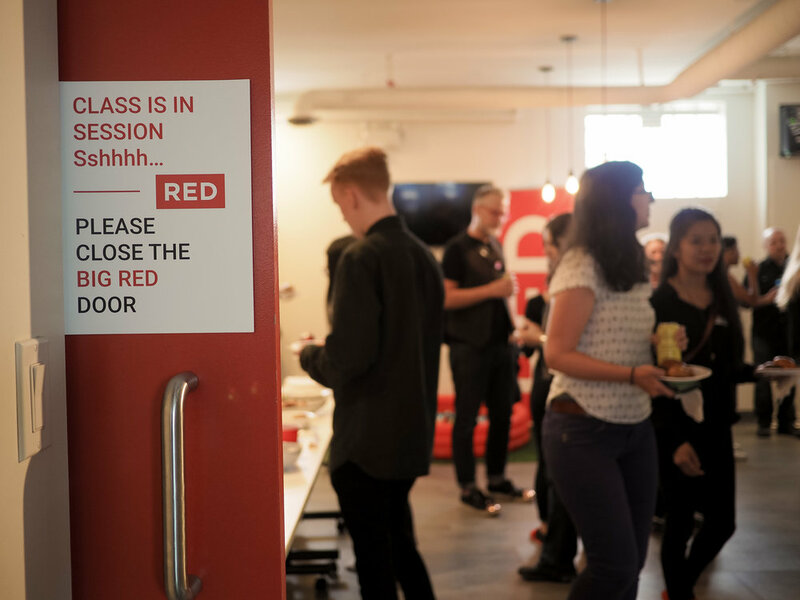 If you enjoyed that keep an eye out on the Red Academy's events page for any upcoming talks an check out their courses to learn more about how to break into the design or tech industry yourself!